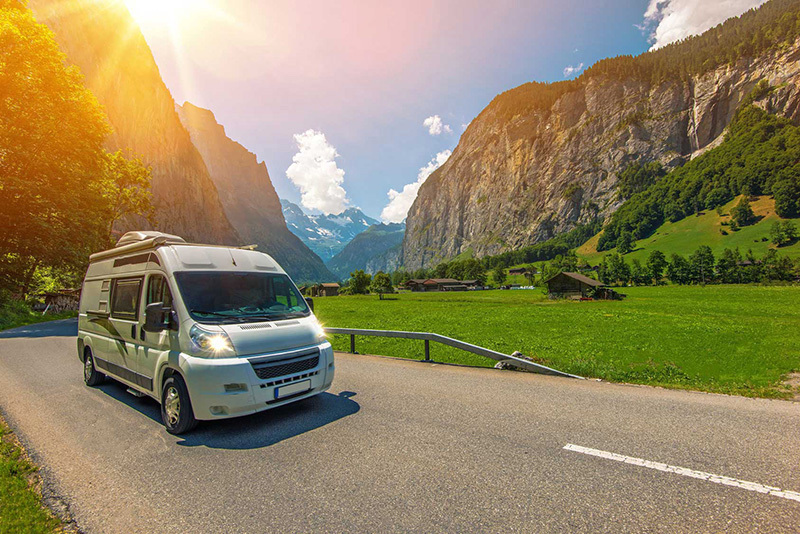 What is RV insurance and how can it help you and your recreational vehicle? Recreational vehicles, or RVs as they’re commonly called, include a wide range of motorhomes. RVs include things from camper vans to bus conversions, and they are organized by classes: A, B, and C. Your RV insurance will depend on the size of your vehicle, how much you use it, whether or not you live in it full-time, and other factors that contribute to the pricing of your insurance. Here are the kinds of classes that could help you determine where your RV falls to make the process a whole lot easier. A: Luxury coaches, converted buses, and motor coaches. These vehicles can be up to 75 feet long. B: The smallest class of recreational vehicle. They don’t have a cab-over, and can also include cargo van designs, travel trailers, and camper vans. C: Vehicles that use a standard cargo van as the driving portion of the RV and the camper portion extends over the cab area. RV insurance is important for your motorhome. Contact Udell Family Insurance in Westlake Village, California for all of your insurance coverage needs. For 2016, our rates have been reduced, especially for drivers with 0 points on their record!